The race was marred by heavy rain and wind. The eights race was a finely contested race between Tasmania and Victoria. Victoria got away badly and Tasmania took the early lead which they held throughout the race. NSW were in second place at the mile mark, a couple of lengths in front of Victoria. However Victoria rowed through NSW during the second mile and went unsuccessfully after Tasmania who went on to win by 1 1/2 lengths. WA did not race in accordance with the interstate conference agreement that exempted them from travelling to Brisbane. 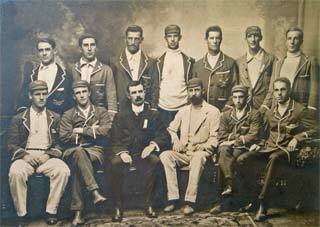 The sculling race was won by John Towns of NSW from the start. It was reported that there was some advantage in the lanes in both races.